Bounded by the majestic Himalayan ranges in the north and edged by an endless stretch of golden beaches, India is a vivid kaleidoscope of landscapes, magnificent historical sites and royal cities, misty mountain retreats, colourful people, rich cultures and festivities. 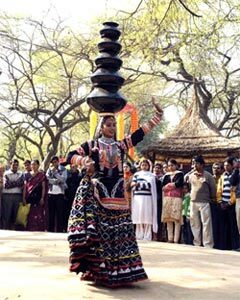 The timeless mystery and beauty of India has been waiting for you for 5000 years, always warm and inviting, a place of infinite variety - one that favours you with different facets of its fascination every time you visit India. 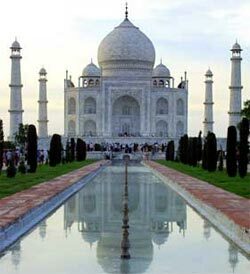 India - the land to travel to, a haven of tourism delights, a civilization to tour through. 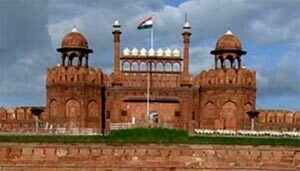 Tourists come to India for its wealth of sights, cultural exuberance, diversity of terrain and in search of that special something, an extra punch that only India promises and delivers. Teeming with over a billion people who voice over a million concerns in fifteen hundred different languages, India is where people live with variety, thrive on diversity and are too familiar with largeness to let it boggle them. Mud huts and mansions face off across city streets.Lurid luxury and limp living are inhabitants of the same lane.